The protective payload fairing around the CYGNSS spacecraft separated and fell away as expected. Stage 2 has burned out. All milestones are taking place as expected. All continues to go well in the early stages of flight. The first stage completed its burn and fell away as planned, followed by ignition of the second stage. 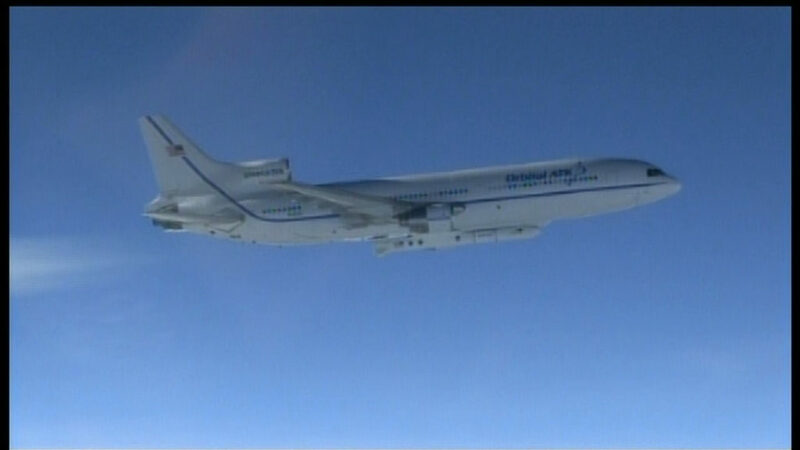 At 8:37 a.m. NASA’s CYGNSS mission began with launch aboard the Orbital ATK Pegasus XL rocket. Stand by for updates from ascent. 3, 2, 1 – Drop! 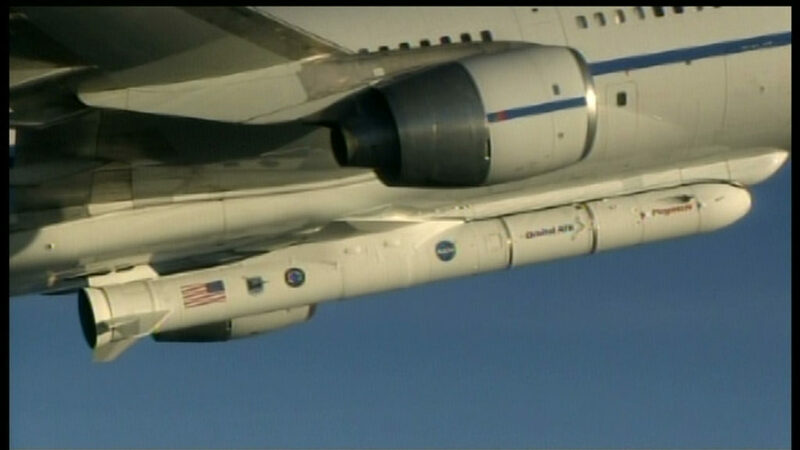 At 45 seconds prior to drop, the Pegasus XL’s fin battery will be activated and the fins will be unlocked. Pegasus XL soon will be announced “go” for launch. Standing by for the drop. The Eastern Range, NASA and Orbital ATK teams are go to proceed with launch. Standing by for the next poll of the NASA launch team. Weather continues to look good for launch. Coming up, NASA Launch Manager Tim Dunn will poll the NASA team. Launch is on schedule for 8:35 a.m. EST. 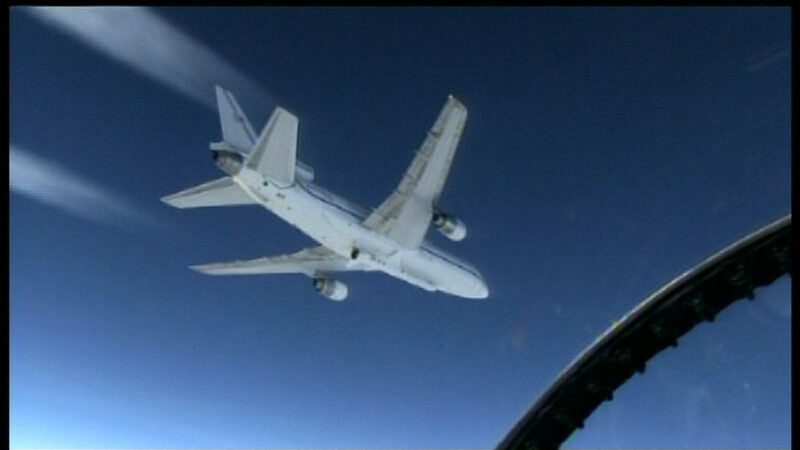 The L-1011 “Stargazer” aircraft carrying the Pegasus XL rocket is beginning its second 180-degree course reversal. This turn will put the vehicle on the path to the drop point. The release mechanism for the rocket is armed and the CYGNSS spacecraft is on internal power.